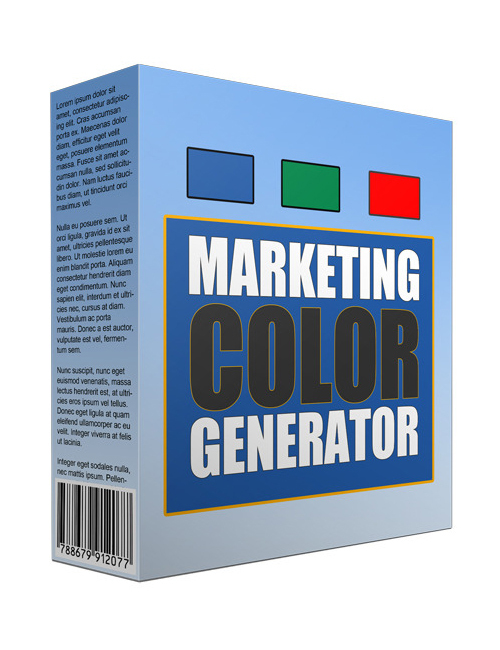 Marketing Color Generator is the easy to use software that will make the colors on your web design magical and alive. No doubt if you want to capture the undivided attention of your target audience you MUST be bang on with first impressions and that’s exactly what this download does for you. It’s the take action tool you need to take control of your invaluable online look and make certain it’s you and only you that captures the undivided attention of your target audience. This will help you attain online credibility, increase visibility, boost brand recognition, drive quality traffic to your door, increase conversions, and ultimately drive your sales straight up through the roof. Pretty fabulous if you ask me.